We are helping our dolls celebrate Easter with American Girl's doll-sized egg-decorating set! It includes all of these fun accessories: an egg carton, five crayons in a box, three bottles of dye, two bottles of glitter, two patterned eggs in cups, colorfully decorated eggs on a white display stand topped with a bunny and an oval tray to hold all your beautifully decorated eggs! 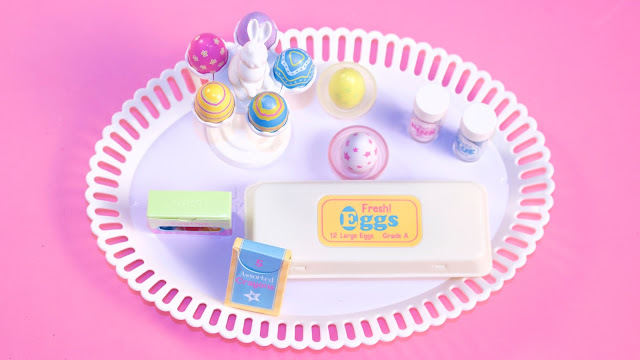 This is such a fabulous Easter Set for fun playtime with your dolls. Also, take a peek below at our wonderful Easter Egg Balloon Basket. We had such a great time making this piece for our Easter party. Everything thing you need to create this fun basket can be found at the dollar store. 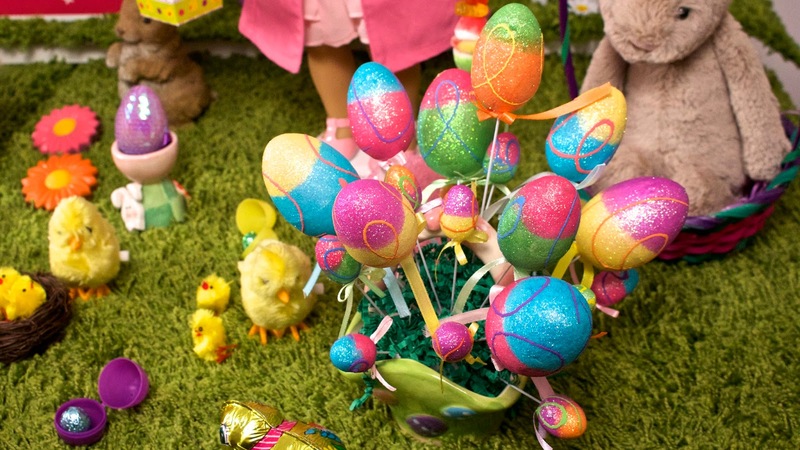 The possibilities are endless for a magical Easter display!